This brand new building boasts a selection of 29 purpose-built 1 and 2 bedroom apartments close to Kingswood High Street. This one bedroom apartment benefits from an open-plan living/kitchen/dining, modern fitted kitchen with oven, hob and extractor, stylish bathroom suite with a heated towel rail and allocated parking. These quality properties are truly affordable, thanks to shared ownership, a simple and manageable way to own your own home. Buy an initial share in your home and pay a discounted rent on the rest. Then, as your finances allow, you can purchase further shares in your home as and when you choose, until you own it outright. 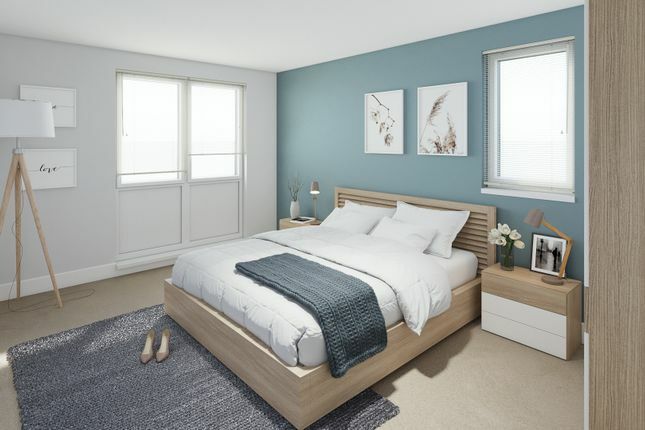 Due for completion in early Spring 2019 Sovereign Living is pleased to be opening applications for the highly anticipated Cecil House in Bristol's Kingswood. This brand new building boasts a selection of 29 purpose-built 1 and 2 bedroom apartments close to Kingswood High Street. Excellently located for Kingswood High Street, you'll aso be close to the ring road and A420. Test your logic at the nearby escape rooms, explore Kingswood's history at the heritage museum, or catch a bus into Bristol to enjoy a meal and a movie. A new Lidl sits opposite Cecil House, as well as a medical centre just a stone's throw away. Be on Kingswood high street within a minute, with its diverse range of shops and Kings Chase Shopping Centre. Property descriptions and related information displayed on this page, with the exclusion of Running Costs data, are marketing materials provided by Sovereign Living - Cecil House, and do not constitute property particulars. Please contact Sovereign Living - Cecil House for full details and further information. The Running Costs data displayed on this page are provided by SmartNewHomes to give an indication of potential running costs based on various data sources. SmartNewHomes does not warrant or accept any responsibility for the accuracy or completeness of the property descriptions, related information or Running Costs data provided here.